This item should be added to your cart if you want an item embroidered with a Morris Yachts logo and you are buying an item that does NOT start with "MORY". For example: If you want to order a Patagonia bag with a Morris Yachts logo, you should two items to your cart. 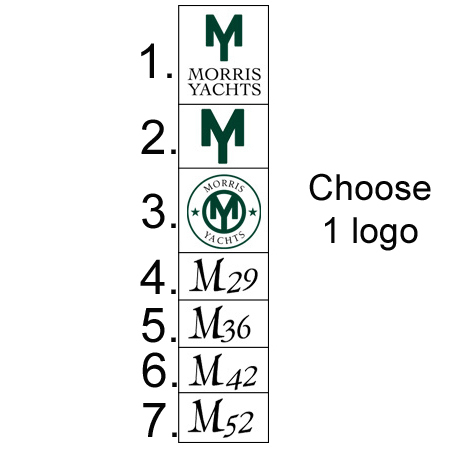 Please specify which Morris Yachts logo you would like to use.